﻿ Company mechanical automotive components » Mariani S.p.a. 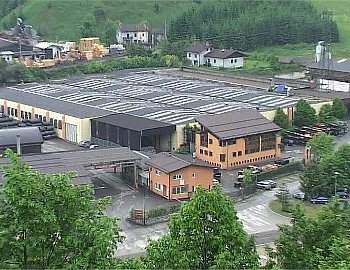 The Mariani Company started up in 1988, and was constituted in November that same year and immediately employed a staff of 45 to run 10 numerically controlled machining centres. It’s growth becomes exponential, both from an occupational point of view and volume of turnover. The strength of the company, that has made it become one of the leading companies in Italy regarding the mechanical precision-machining sector, lies in it’s dynamism and the final clients’ contentment in terms of price, quality, delivery and co-design. The “total quality” project is emphasized by the quality certifications that we have managed to achieve through the past years, the UNI EN ISO 9002 in 1997 and as from year 2004 ISO TS 16949. The Company’s production activities are adaptable to any sort of clientele to whom we can provide anything from simple precision machining to the acquisition of primary raw materials (worldwide) up to the assembling of groups of components or sub-groups. The types of metal materials machined range from non-iron alloys to various types of pig iron and steel.